Featured Project: The Gilbert Family | Crystal Inc.
Posted on April 13, 2017 by Crystal Inc.
Every once in a while, you hear a collection of music that’s so striking and moving, that all you can do after you hear it is say, “Wow.” The Gilbert Family with their producer, Josh Swift, have created such a recording. Husband and wife, John and Sandra Gilbert, along with their daughter, Sara Faith Gilbert, with guitarist Eric Beaty, comprise The Gilbert Family, an acoustic/bluegrass gospel group from Sparta, TN. This family is vocally talented and it was a joy to hear them sing on this recording. 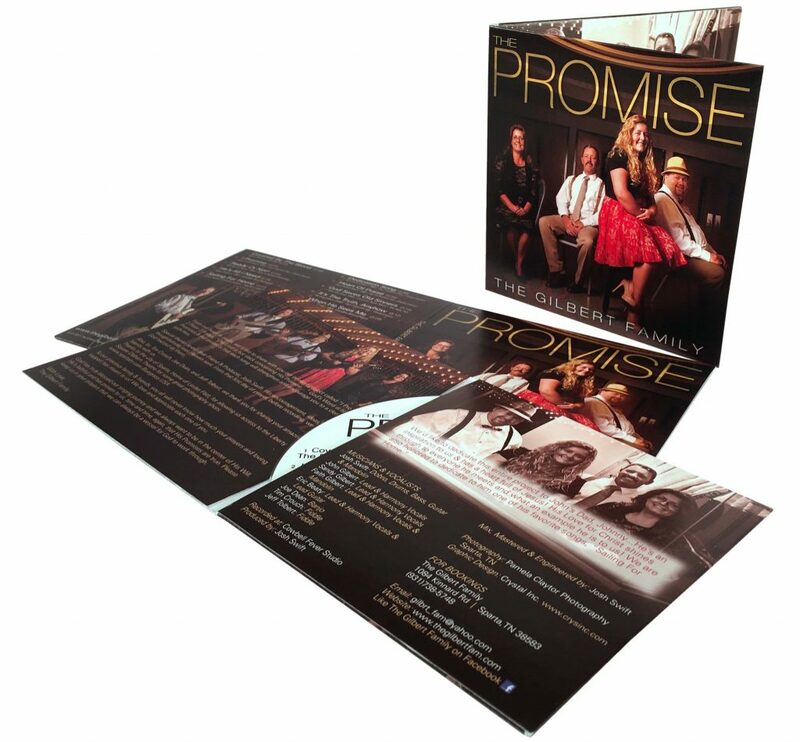 From start to finish, there is something for everyone on “The Promise.” Every song is wonderful but my favorites on this CD are the ones that the Gilbert ladies have written. Sandra wrote “It’s The Truth, Anyhow” (terrific shouting song!) and Sara added three songs as well: “Dedication Song, “Heart Of Praise” and my favorite, “I Promise.” “I Promise” was written by this wonderfully talented young lady and it is one of the most powerful and yet comforting songs I’ve ever heard. It is my new favorite song and Sara Faith Gilbert is my new favorite songwriter. I wish I had the words to tell you how touching Sara’s song is, but you’ll have to hear it for yourself. This song will remind you that you’re not going through your trials and storms alone because God is always there. Josh Swift, the producer of “The Promise,” is a master musician and producer who can wail the tar out of a dobro (or any string instrument for that matter) and his skills are on display on this CD. “The Promise” was recorded, mixed and mastered at Josh’s studio, Cowbell Fever Studio (don’t you love that name?) in Sparta, TN. The arrangements of the vocals and music are stellar and he has really brought out the best in the songs and the voices of the Gilbert Family. Mr. Swift surpassed himself on this CD and he is to be commended. I cannot recommend “The Promise” highly enough. It is a “must have” to add to your music collection. This recording will bless and encourage you. 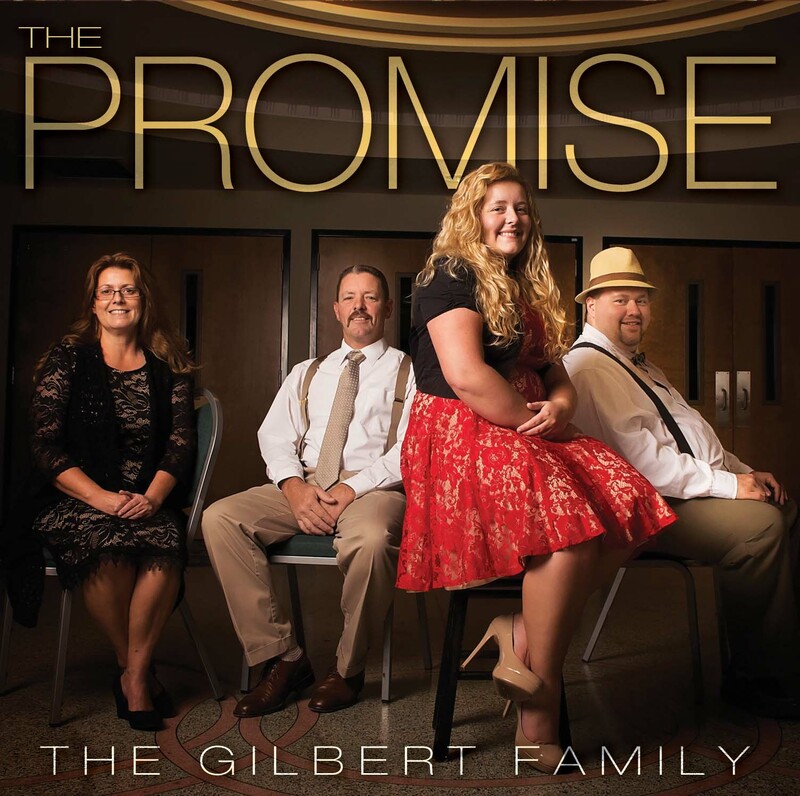 To order this CD visit: www.thegilbertfam.com or call (931) 738-5748. The Gilbert Family would be a wonderful treat to add to a special service or a Sunday Singing at your church. They love singing for the Lord and you’ll never meet nicer people. To book The Gilberts call: (931) 738-5748 or email gilbrt_fam@yahoo.com.